Hello, I just bought a 1968 Bug Baja. Its a little rough, but I think I can work with it. 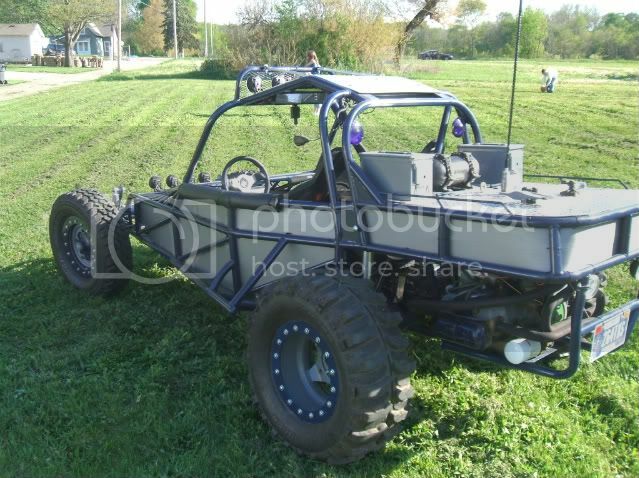 I have had sand rails (woods buggies) for about 6 years now, but have wanted a Baja for a long time. My plan is just to get it on the road (not daily driver) and fix is up a little at a time. It doesn't look to bad right now, but I would like to upgrade the brakes, and replace some interior, and weather stripping. 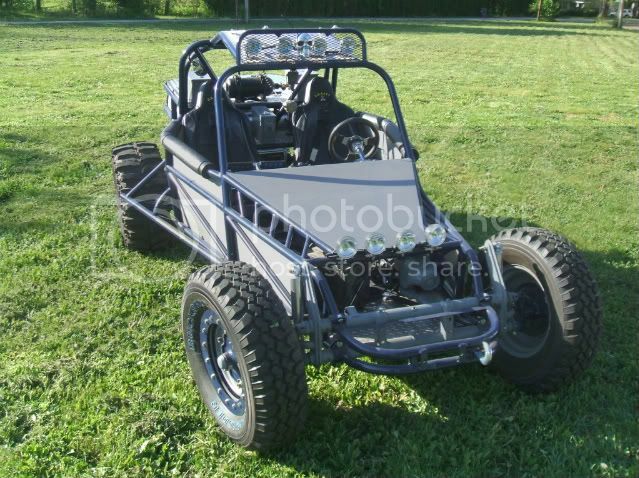 Here is a pic of my buggy. I bought its as a weld together "knock down" kit, Its a berrien buggy frame. I changed a few things though. Welcome to the site. I use to live just outside of Marion in Converse. Have family in Anderson. Welcome to the site. I'm a bit north of you in Fort Wayne. I have a fiberglass, Manx type dune buggy and a Karmann Ghia Baja. I just ordered some parts. When I get back from Tennessee this coming week end, I'll be able to start doing some more work on it.